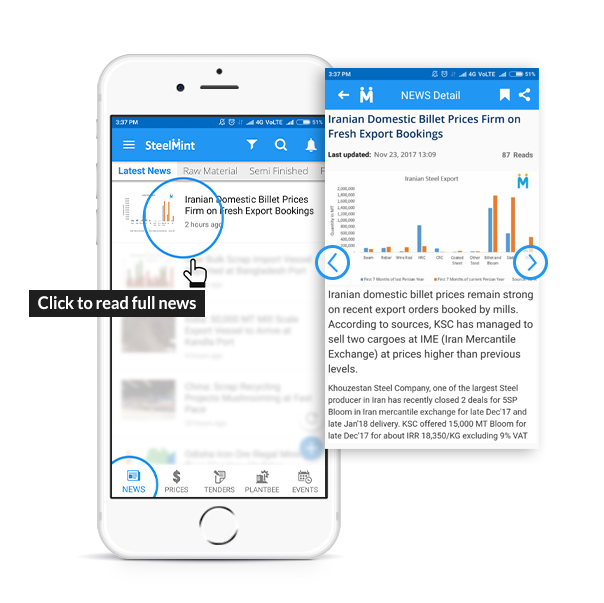 Stay updated with real time prices, news, tenders and analysis. You can also give a miscall to +91 9014641144 and get the link to download the SteelMint App. View domestic and global prices of various products on a single page. Bookmark tenders of your interest and refer them in future. Chat with conference participants - The app provides a platform for conference delegates to chat with other participants before & after the conference. Stay updated with all event buildups - Stay updated with all the details on upcoming/on-going conferences. Manage your portfolio and get instant updates on your products of interest. 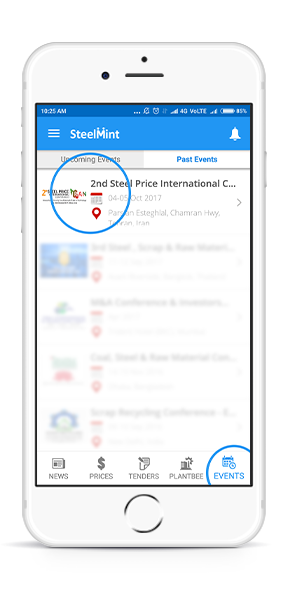 With this feature; update your personal & company details that are very helpful to chat during events. Email and calls are no more the only way to contact us, chat live to solve all your queries. Refine the notifications and receive only what’s relevant to you. Chat with our Support- team and get all your queries resolved. Where can I download the SteelMint mobile app? 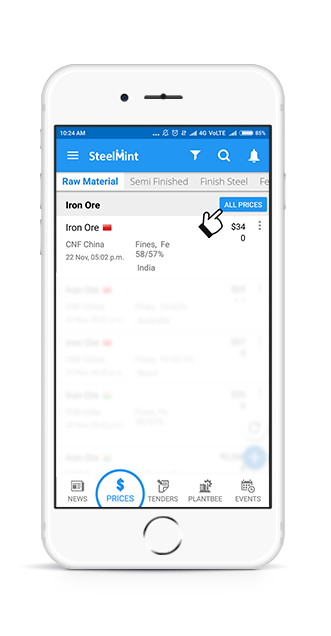 Answer: You can download SteelMint App from Google Play Store for android phone and Apple App Store for IOS devices. 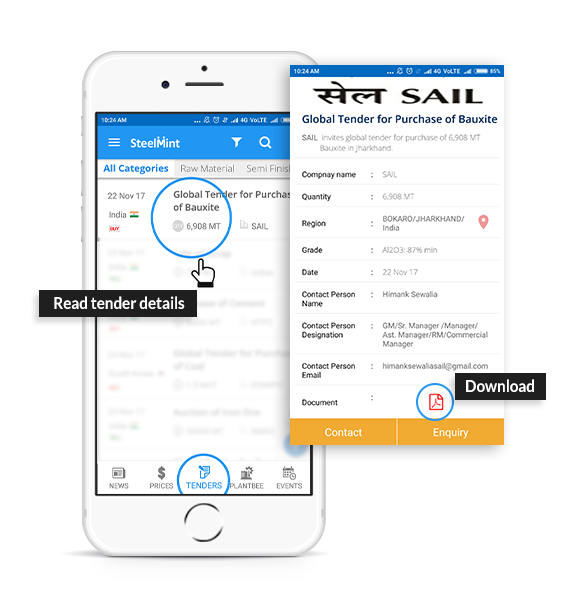 Answer: Just download SteelMint App on your mobile, create an account or register on www.steelmint.com and you can start using SteelMint app. How can I get the most from this app? Do I need to log in each time I access the app? Answer: SteelMint app requires only onetime login. Do I have access to the same content on SteelMint Website? 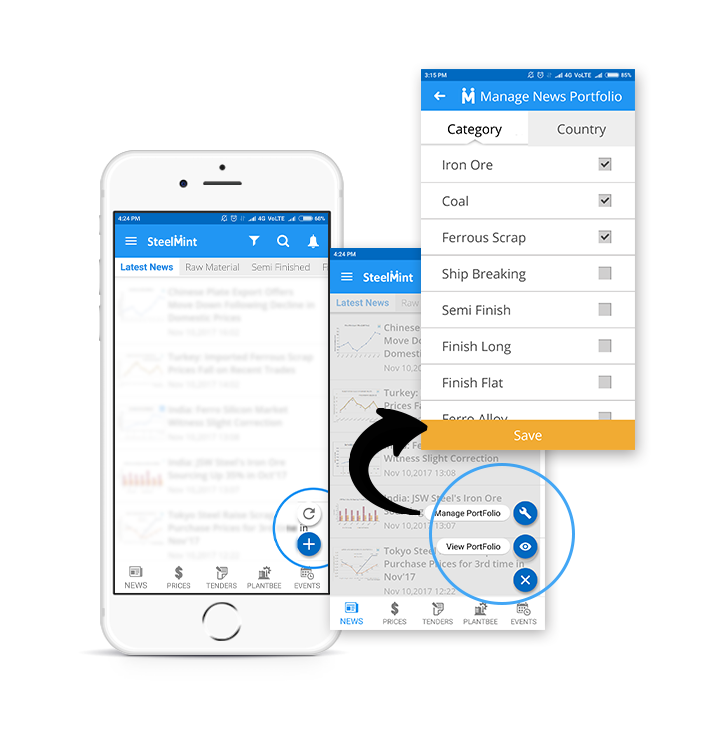 As registered users the information is same, but SteelMint app helps you stay ahead by providing time to time relevant notifications. What devices can I use the SteelMint mobile app on? Answer: SteelMint mobile app is compatible with any Android device running on android 4.4 or higher and IOS mobile device running on IOS 6 or higher. Do I have to pay for SteelMint Mobile app? Answer: SteelMint mobile app is available for free download on both Android Play Store and IOS App Store. 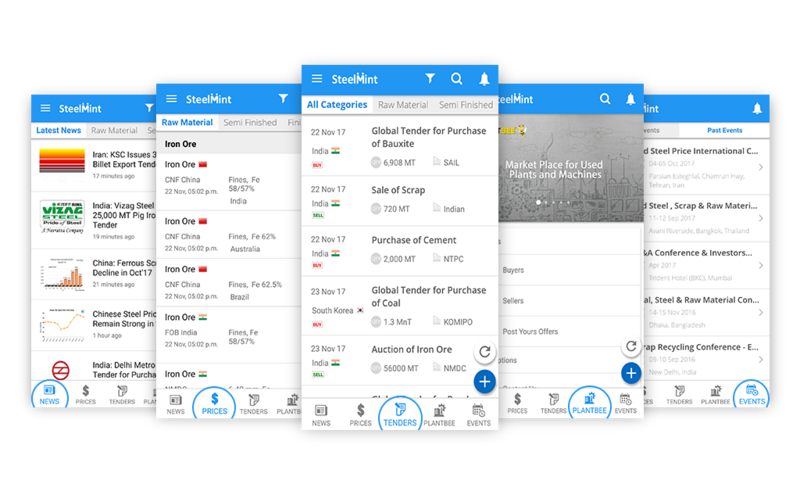 However to access all detailed information available on the app, a user must subscribe a minimum standard plan of SteelMint web services or register their device for mobile app plan. For more information call our helpline number. What kind of data connection do I need? Answer: SteelMint App can be accessed on any type of internet connection. However a 3G connection is advised for faster data loading. 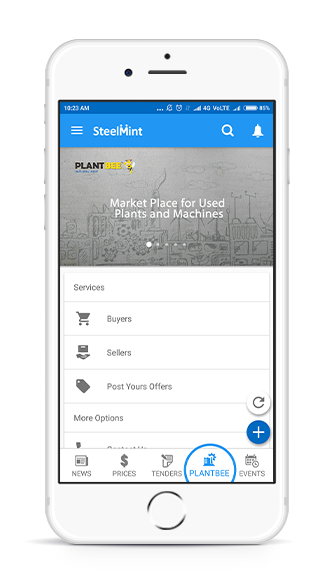 Answer: For any further help on SteelMint App, user may contact +91 97700 56666 or Email to us at support@steelmint.com.